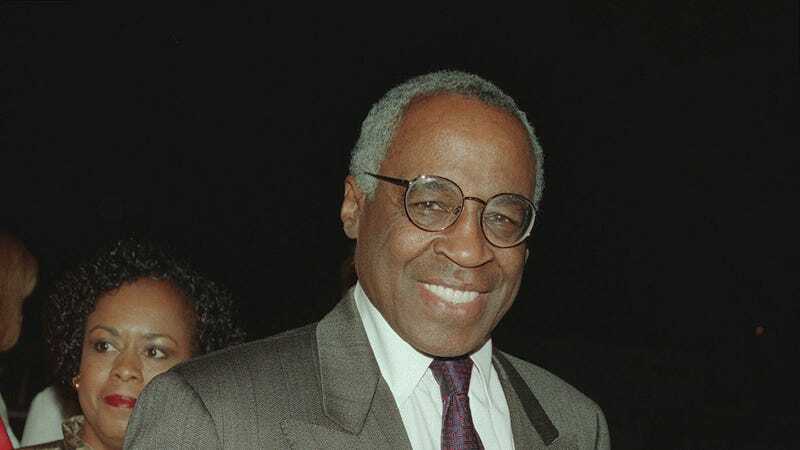 Robert Guillaume, the Emmy-winning actor who lent wisecracking wisdom to roles like Benson DuBois, Sports Night’s benevolent boss Isaac Jaffe, and mandrill mentor Rafiki in The Lion King, has died. According to Variety, Guillaume died of complications from prostate cancer. Benson ran for seven years on ABC, seeing its title character rise from head of household affairs for a state governor, all the way up to gubernatorial candidate himself. The series ended on a cliffhanger, never revealing the results of that election; Benson’s fate was less ambiguous in real life, where Guillaume won two Emmys—one for Benson, and one for Soap—for his decade in the role. Guillaume suffered a stroke in 1999, during the run of Sports Night, which the show worked into its plot. In the years after the series’ cancellation, he worked less frequently, although he still returned frequently to voice various Lion King spin-off projects. (Meanwhile, fans of the Half-Life franchise of video games will recognize him as the warm, defiant voice of heroic scientist/resistance leader Eli Vance.) Guillaume retired from acting in 2013, and reportedly died earlier today. He was 89.